Once that we had something in mind, we headed off to Jo-Ann's for the supplies. We picked out card stock that had an elegant, but neutral, design and purchased enough sheets to make two triangle-shaped pennants per page. We also picked up ribbon in our primary wedding colors, navy blue and kelly green, with enough to reach through the full length of all the pennants and leave some to hold on each end. Then, we headed over to The School Box, one of my mom's favorite teacher spots. They have great prices on huge letters and numbers that you can easily glue down onto paper, bulletin boards or banners. 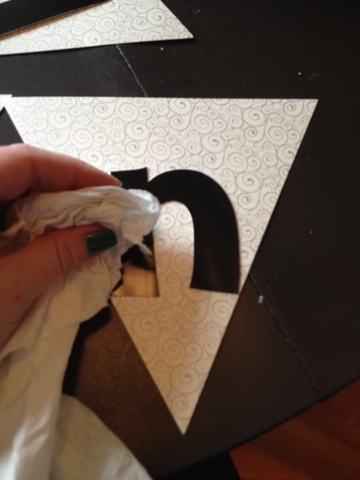 Here's how I put everything together: After my mom traced and cut the pennant shapes for me at school with a paper cutter, I punched out the letters and laid them out on the pennants to see where they should be positioned. Once I had them all laid out, I started glueing the shapes down. I used a damp cloth to wipe off any excess glue. Once the letters were all in place, I put them in between some heavy books to dry flat. Then I used a hole punch to cut out the holes before stringing through the double strand of ribbon. I twisted the ribbon a bit as it went through so that you could see both colors. Yay, done! We brought the banner to our engagement photo shoot and sent our inspiration photos to our photographer in advance so that we could work it into our afternoon with them. 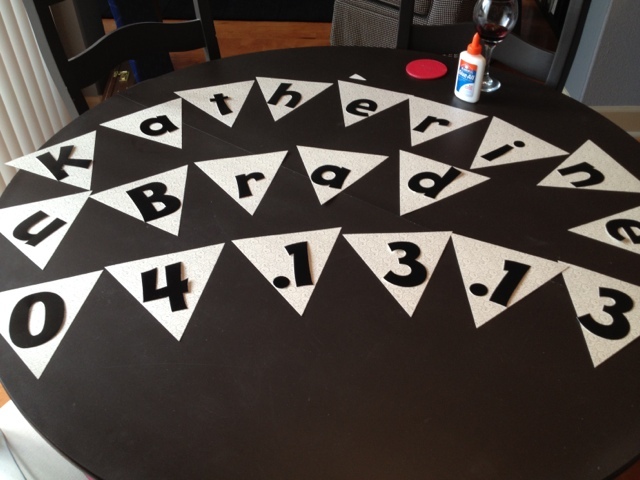 This banner would be an easy craft for a birthday party, engagement celebration or any DIY event. 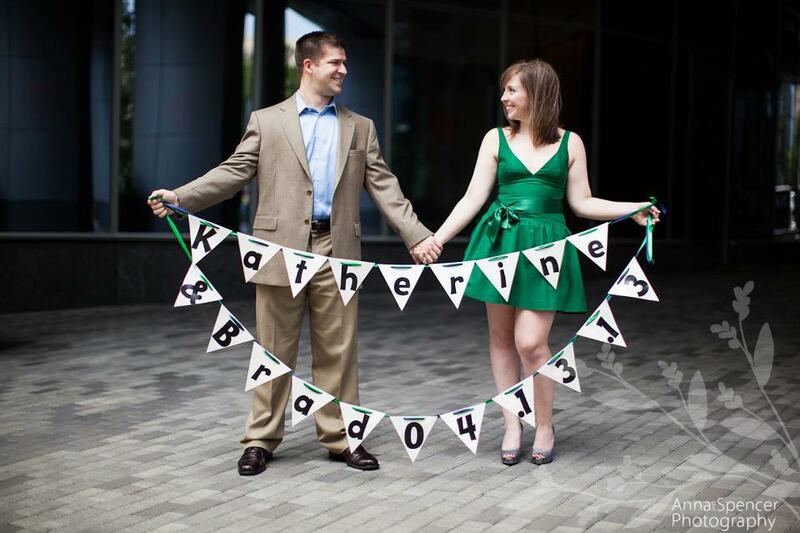 I love that you can customize it with any colors, letter styles or ribbons for any style event. We are planning on repurposing the banner at our wedding as part of our décor, too, making things for the big day that much easier. Have you made any similar pennant banners? What was your inspiration?